Adaptive design is based on allowing modifications in the design or in the statistical procedures of an ongoing clinical trial. 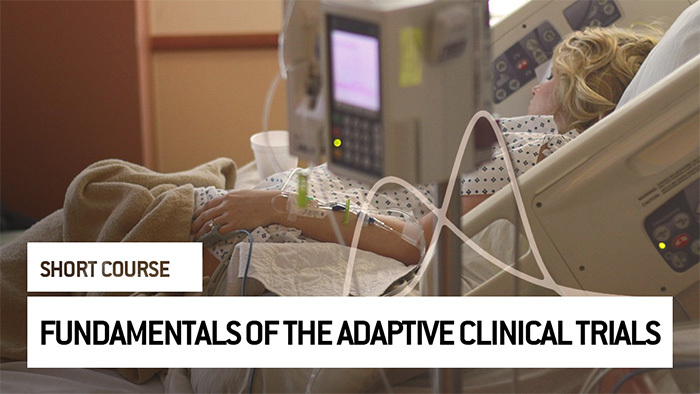 Use of the adaptive design methods in clinical trials has experienced an important increase in the last years. This strategy, based on accrued data, has become popular because it has shown to be flexible and efficient. This course intends to bring you knowledge and understanding of the currently raising concerns about feasibility, validity, and integrity, with the consequence of a rise in errors in efficacy assessment. At thend of this course, you will understand which are the main issues and the pros and cons of applying this approach in clinical trial designs.